As a Shooting Star, you are at a tipping point in your business. Your business represents what you USED to do, but you’ve evolved in who you can serve and how you do that. The frustrating part is, you know you can be making a greater impact, in a more streamlined way, but you feel cluttered by old branding, offers and possibly even the types of customers you attract. It’s time to take a good look in your business “wardrobe”, throw out what is not serving you anymore and create a new business model that builds on your strong foundations and lets you shine! Often as a Shooting Star, it may seem to others you have a great business but you may not agree. You feel incongruent because what you are putting out to the world no longer really reflects what value you really offer. You may even stop yourself from marketing your offerings because your message feels “not quite right”. I get it. I’ve reinvented my business numerous times as I have evolved as a business woman. In fact, this website is the result of applying the same process to my own business that I guide Shooting Stars through. I shed my established brand of Wonderful Web Women with genuine grief and tears but I know my business, and my business leadership, could no longer grow through the brand that got me to this point in time. This is a time to celebrate. You are on the cusp of creating something wonderful and you have your strong experience in business already to use as a foundation for your creation. They need to do an audit of their skills, expertise and branding and client assets so they know exactly the foundation they are building on. The techy stuff can be holding them back. It can be frustrating as a Shooting Star (I know, I’ve been there). It can be easy to lose your confidence as a business person when you don’t have a business yet! That’s why mindset is critical. So I suggest you download The Mindset Hacks Cheat Sheet: Simple 1 Word Hacks to Quickly Reprogram Your Mind For Success. The comprehensive, #1 Best Seller with step-by-step how to build a tribe of loyal fans who LOVE your brand. Includes check-lists, action plans and case studies of best practice all sprinkled with quirky anecdotes, mindset strategies and motivation tips. As a Star Gazer this program will be perfect for you, ONLY IF YOU ACCEPT ONE THING. Give yourself permission to spend all the time you need in the first 2 modules so you know you are spending your time and energy in the right business. Then you can blitz through the program. Step-by-step to create a personal and business brand that truly reflects your unique values, expertise and personality. You’ll not just get super clear on the sweet spot where your unique expertise overlaps with what your ideal client REALLY wants, you’ll have everything in place from your messaging, your website, an email list of perfect prospects, through to an easy to manage content strategy, with leadership across social media…plus your first (or more) online sales of your own program. If you’re ready to accelerate the creation of your “Tribal Platform”, then this is the program for you. With a private forum, designated coaches, hotseats with Janet Beckers and Get S%*t Done Days plus more, you have the support of The Romance Your Tribe team to get you up and running with speed and ease. If you are a life or business coach, in the done-for-you space for businesses, or ready to take your expertise into a different niche of business owners, then the Romance Your Tribe Coach Certification Program may be the system you need to get results for your clients. 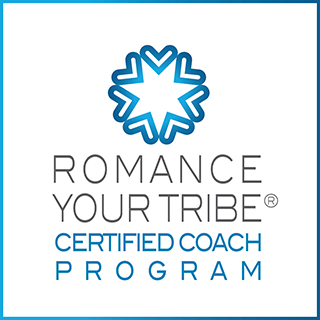 Not only will you be trained and certified to use the Romance Your Tribe Method, you will be supported through an ongoing Coaching Tribe membership to help you grow your business as well as get the best results for your clients. This is an application-only program with genuine certification standards (we will be trusting you with our brand so we support you to get genuine results with your clients).